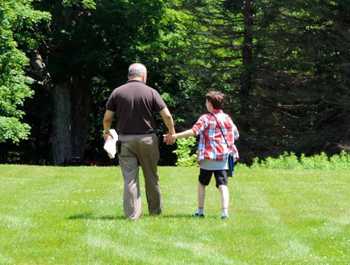 Hillcrest Educational Centers is a private not-for-profit organization, providing therapeutic treatment and special education to children and adolescents with unique psychological and learning needs, in Berkshire County, Massachusetts and the Northeast. Campuses include a day student academy and three residential schools. They are also a resource for a broad range of psychological services, counseling and evaluations for individuals, families and schools in Berkshire County through Hillcrest Community Support Services. In addition to Hillcrest Educational Centers, other divisions of the Hillcrest Educational Foundation include operates Hillcrest Dental Care, Inc. and Berkshire County Kids’ Place and Violence Prevention Center, Inc. Hillcrest Dental Care is a complete general family dentistry practice and the largest provider in Western Massachusetts of oral healthcare services to MassHealth recipients and special needs patients. Berkshire County Kids’ Place is a fully accredited Children’s Advocacy Center for child abuse victims and their non-offending family members. Click a button for our yearly financial statements.